We are pleased to offer instrument financing through First Mutual Bank. The application can be done entirely online, and is below. The interest rate for this program is 12.99%, and the terms are anywhere from 6 months to 60 months (your choice), with no prepayment penalties. The below link will give you an instant credit decision. This program is limited to serialized instruments/bocals with a retail value of $1,000 or more ($1,000.00 minimum must be financed). With this program, we are happy to extend a cash/check sales discount on eligible instruments. Please feel free to browse our inventory of instruments or reach out with any questions regarding our financing program. We look forward to working with you on the purchase of your instrument! In addition to musical instrument financing, we also offer numerous other services for your musical needs. Below you will find more information regarding these other offerings. For additional questions, please contact us directly. Need additional information about our inventory or services? 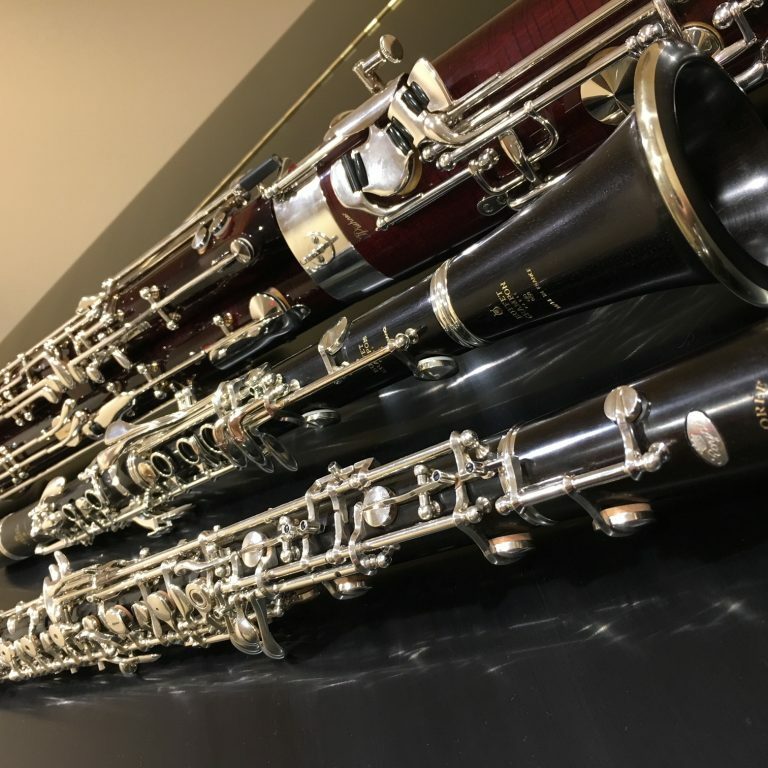 Our staff of conservatory trained instrument specialists and highly skilled repair technicians are available to answer your instrument questions.